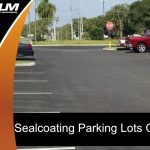 Asphalt maintenance is key for any business that hopes to extend the lifespan of a parking lot without having to spend money on costly repair work on a regular basis. Asphalt repair and maintenance isn’t a complicated process and is well worth the effort for any business that wishes minimize the chance of costly repairs. 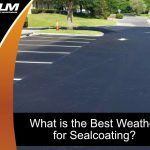 Here are three simple asphalt maintenance steps that will extend the lifespan of your asphalt parking lot and increase the overall appearance of your business. Standing water is one of the top threats for any asphalt parking lot. Standing water can cause widespread damage that leads to expensive repairs. Standing water can be the result of a wide range of scenarios, whether you have depressions within your parking lot or you may even have irrigation overspray from water sprinklers. The best way to prevent this situation is to ensure that water sprinklers are not spraying onto the parking lot and to also look for any lower than normal areas in the asphalt. A professional asphalt maintenance company can fix any depression areas in the parking lot to minimize the chance of any standing water causing significant damage. Debris can easily accumulate on an asphalt parking lot, whether it is due to curb openings or leaves from a nearby tree. However, it is important always to remove this debris as soon as possible, as it can restrict water flow to drainage areas. Over time, this standing water can cause significant damage to your parking lot, making costly repairs necessary. However, frequently checking your parking lot and removing debris on a regular basis will minimize any damage. Vehicles often leak fluids, which can damage any parking lot. While you may never be able to prevent these oil leaks entirely, you can always keep a watchful eye on your parking lot for oil leak stains. 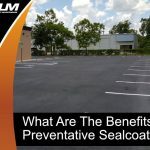 Removing these oil leak stains will improve the appearance of your parking lot, while also preventing further damage that can weaken the asphalt paving. Understanding these asphalt maintenance tips can save you a lot of time and trouble for any business. The parking lot is one of the first things that any client notices about your business, and it is important to always make an excellent first impression. 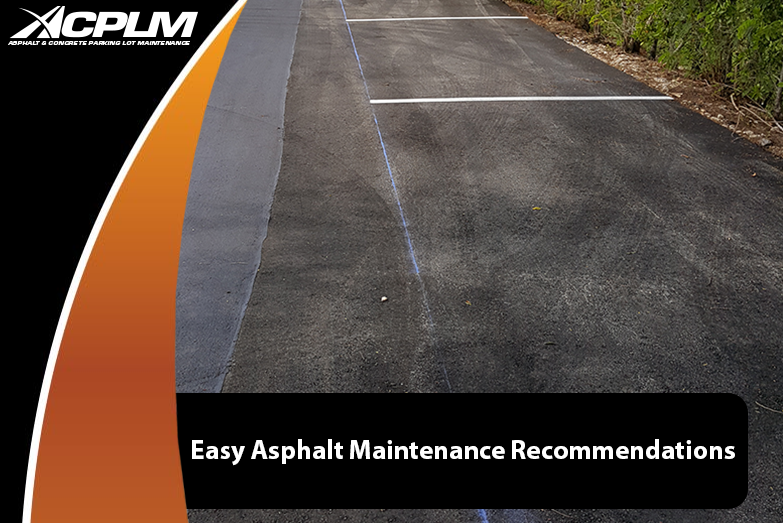 ACPLM can help you with all of your asphalt and parking lot maintenance needs. We have over 50 years of combined experience in the industry. We believe in the value of providing the best customer support possible. We are available to answer any of your questions and guide you on the best course of action for asphalt maintenance. 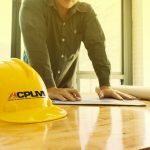 Following these simple, yet highly effective preventative measures can save you a substantial amount of money for any business. If you wish to learn more about the importance of following these asphalt maintenance tips, please reach out to us today for a free consultation!